The Infamous Chang is back with a new show and it’s debut episode. This is The Chang Show with Chang’s longtime Co-Host/Sidekick and newly adopted child, Ruben Jay producing. On this episode, Chang celebrates the accomplishments of the Los Angeles Dodgers beating the Chicago Cubs in a 3-0 Sweep. 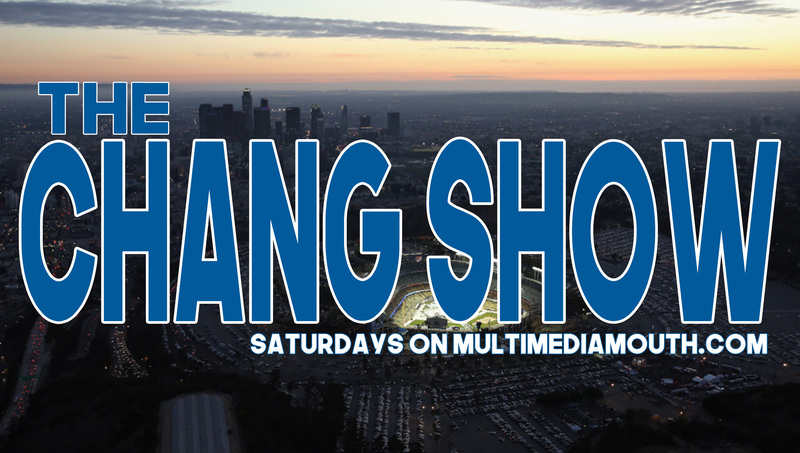 Chang is the only host on this show who is old enough to remember the last time the Dodgers won a world series and he’s hopeful for a Dodger win this year. #Dodgers2017. The hosts also discuss the NFL protests and how much of a jackass Rodger Goodell is. SPOILER ALERT: He’s a jackass. Ruben and Chang also address the #MeToo trend on social media giving comfort to those who have been sexually assaulted. You are encouraged to join the conversation by using the #TheChangShow on all social media! Do it. We’ll wait. Thanks! Also, make sure to leave us a 5 star review on Apple Podcast, the Google Play Store and on Facebook! *DISCLAIMER: Chipotle Ad is 100% satire. The claims made in the spoof ad were 100% fictional and meant to be a joke.